Every relationship have their ups and downs. Every relationship is different. We all have different ways of believing things, treating each other, different personalities and views. We all handle things differently. Being a parent, and in a relationship can be difficult at times. You are both coping with the daily life of being a parent, which we all know isn't easy, but you are also trying to keep a happy relationship alive. To keep the relationship going there are many things both of you can do, to keep it strong and happy. Me and my partner have been together for just over 4 years. We have had our ups and downs. We have nearly come to breaking point, but we have come out stronger. We are really happy and these are the things we do to keep our relationship going. 1. 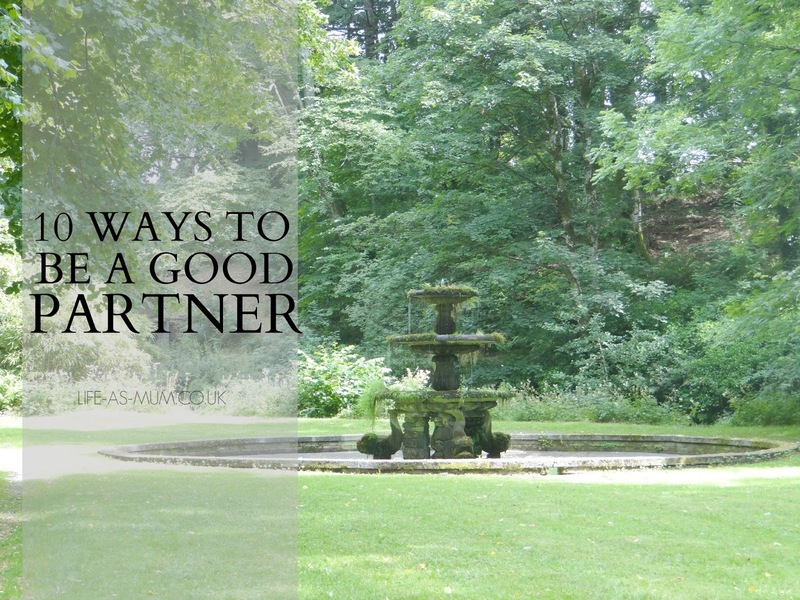 One of the main thing to be a great partner, is to be supportive to each other. Everyone has their good and bad days. When you are in a relationship you need that other person to be there for you when you are feeling down, needing someone to talk to you or anything else you need support on. 2. Be sure to still have those child-free days. Every parent deserves one. Even if it is just for a couple of hours, you and your partner could go out for a walk or some food. Time to get the spark going again, bonding back again and just let your hair down. 3. In a relationship you need to be honest and trustworthy. Once you lie to your partner, that is when it all falls apart. If you don't trust each other, then there really isn't going to be that 'happy ending' relationship. You need honesty and trust in every relationship. You can't live your life not trusting your partner, wondering where they are every second of the day, being very paranoid and controlling. It isn't healthy. 4. Treat each other once in a while. Book your partner a day out somewhere. Get your partner a nice gift or treat them to a homemade cooked meal in the evening. 5. Listen to each other. This is very important in a relationship. If your partner needs to talk to someone, feeling low, be sure to be there to listen. Even if your partner is having a good day and wants to tell you about their day, listen. You are showing that you are interested in what they are saying and you can understand a lot more things and new things about your partner. 6. Appreciate things your partner does. Maybe your partner is the one who goes out to work to bring the money in? Buys you things? Helps you out in a lot of ways? There is always time in a relationship to appreciate things. Never be ungrateful. 7. You need to deal with those bad days. Learn to apologize if it needs saying, or even if it doesn't! Every relationship gets its bad days. We all get upset and have a little cry now and then. Our partners annoy us now and then but that is just life. You are two different people, of course you are going to clash and disagree sometimes. Just don't think that every argument, small or big, is the end. There is a way to work things out, if you really want too. 8. Humour. Have laugh together. You don't want a boring relationship, that sure won't last. If you see a funny video on Facebook, go and show your partner. Share laughter with each other. 9. Be sure to communicate. Always have time to talk during the day. Even if you are stressed. Say good morning, hello when you or they come home from work, good night and ask how their day has been. Make a conversation. Doesn't have to be a very long conversation but it is good to communicate when in a relationship, so neither of you feel alone. You always know you've got your partner there with you. 10. Be happy in yourself. You need to be sure that you are happy in yourself first before you can be happy in the relationship.